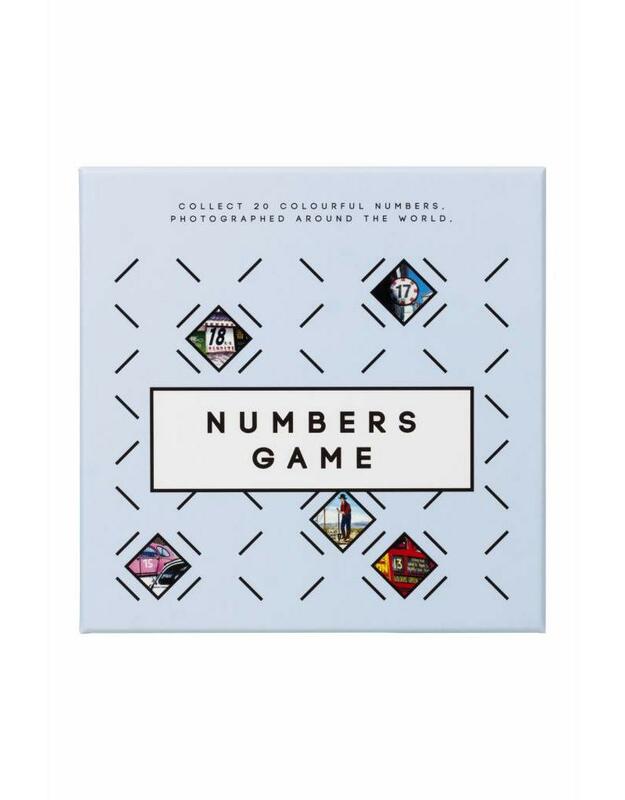 The Numbers Game is a new game concept that resembles the memory game play but with some interesting differences, which makes the game more exciting and flexible. 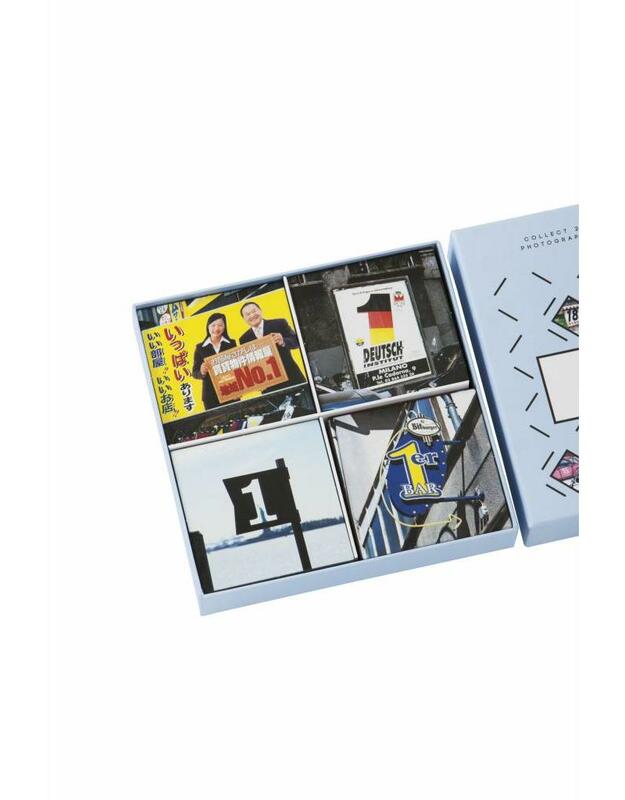 The Numbers Game consists of four sets of 20 cards. Each set has a set of numbers running from 1 to 20. The goal of the game is to collect one set of 20 cards. However, the cards may only be added to your collection in ascending order, if you first pick a number-1 card, or in descending order, if you first pick a number-20 card. The player who first completes a full 1-20 row wins the game. 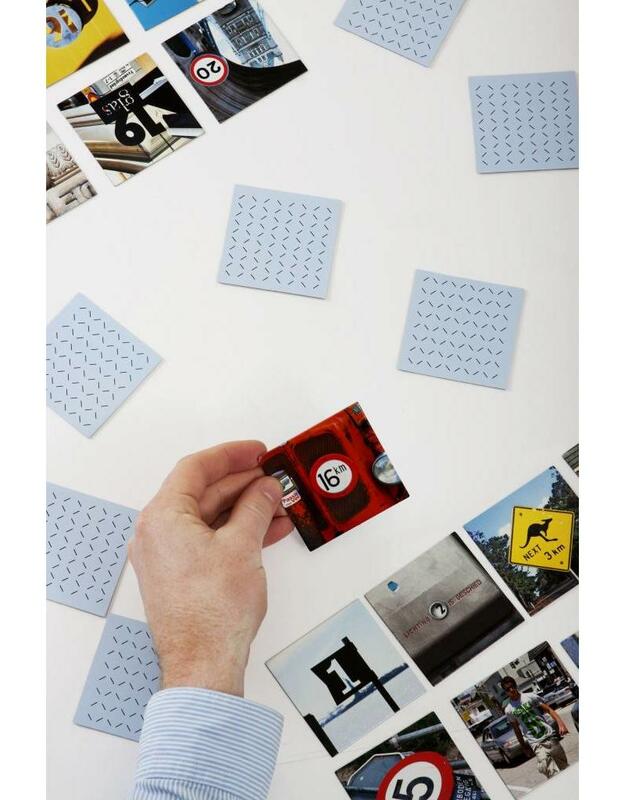 The numbers on the cards have been photographed on the streets of cities around the world, from house numbers to traffic signs and commercial signage. 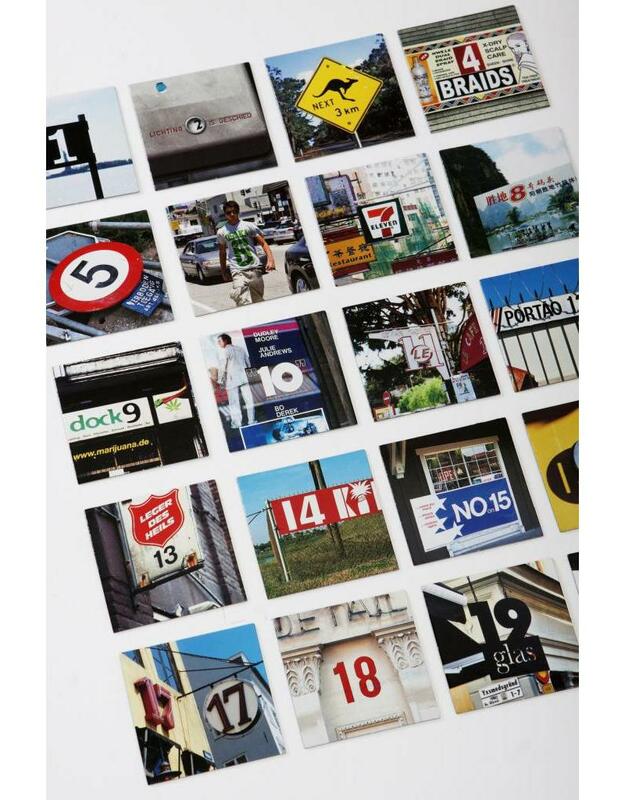 Paul Baarss sharp eye for graphic candor resulted in a collection of thousands of street graphics depicting numbers. 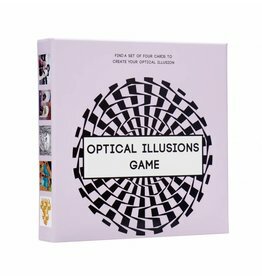 For this game, he selected 80 striking numbers in surprising settings from his large collection.